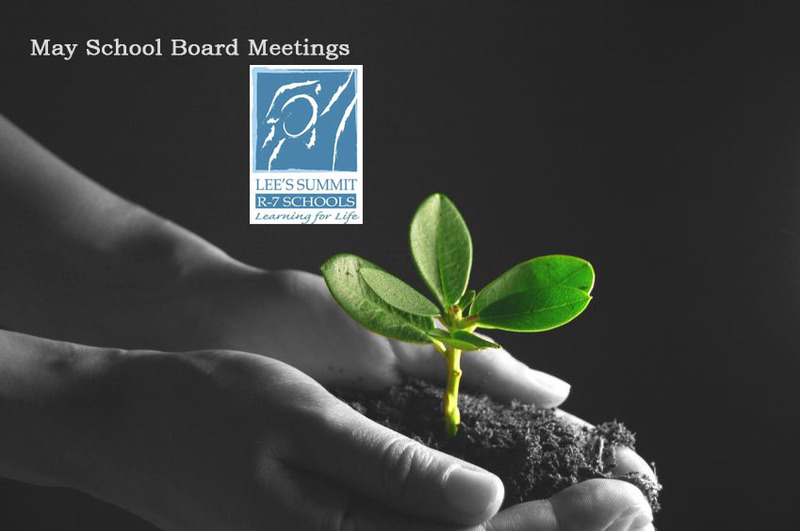 The Lee’s Summit School District Board of Education will meet Thursday, May 17, at 7 p.m. In addition to routine items on the agenda — such as giving student organizations permission to contract with fireworks stands to hold fundraising activities and awarding construction contracts — board members will consider approving new district policies and revising existing ones. Usually board members take at least two meetings to consider policy changes. The first time the board hears new language is referred to as the first reading. After the second reading, members vote on approval. Sometimes district administrators request policy revisions, such as changing the staff person designated as the coordinator of programs for homeless students. However, most of the changes under consideration tonight are in response to changes in state and federal laws. For example, because the state legislature now “requires school districts to control all noxious weeds growing on district property,” the Building and Grounds Maintenance policy has been revised to require that weeds not be allowed to go to seed. More than a third of policy changes under consideration tonight are in response to requirements of the state’s new Amy Hestir Student Protection Act. This Act requires all Missouri school boards to create written policies describing what information they will provide to other public schools regarding former employees, and the compliance deadline is July 1. This Act also requires districts to disclose whether teachers have resigned after being threatened with termination following allegations of sexual misconduct. Because of concerns that districts may be required to release such information even if the allegations turn out to be untrue, the Missouri School Boards’ Association is suggesting policy revisions in an attempt to protect districts from being sued. The meeting, which is open to the public, will take place in the Board Room of the Central Office; 301 N.E. Tudor Road; Lee’s Summit, MO 64086. Next month’s meeting will take place Thursday, June 14.